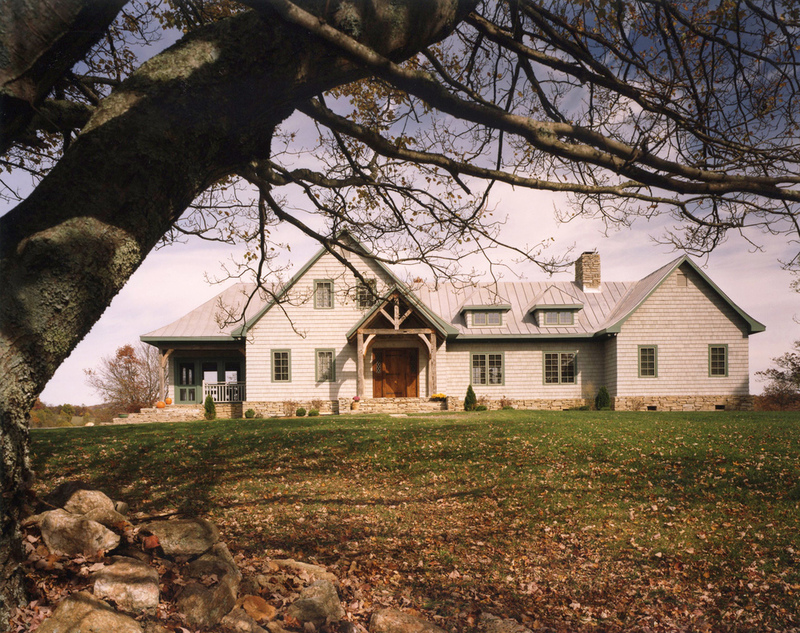 This house sits on the highest point of a plateau overlooking the Blue Ridge mountains. The design intention for this small house was to work in the stylistic traditions of the mountains using the architectural vernacular and natural materials common to the region. The owners wanted a home which would encourage and support an active outdoor life during each unique season. Interiors were intended to provide a warm relaxing setting as a balance to the active outdoor environment. Many local craftsmen and materials were used to add authenticity to the house and reinforce its sense of place. To enhance the energy conservation, a geothermal heating and cooling system was incorporated into the mechanical system. Return to main Residential project page.